WILLEMSTAD - Fifty auditors from KPMG Dutch Carribean move to EY Americas. This will put an end to the presence of KPMG the Dutch Caribbean islands. There were months of negotiations about cooperation. KPMG would also have spoken with Grant Thornton, but earlier this year, PwC joined forces. KPMG informed the staff last Friday about the merger with EY Americas, where the name of KPMG disappears. Last year, KPMG also sold the Eastern Caribbean branch (130 employees): it then switched to BDO. Last year KPMG also closed the office in Suriname. The customers there have since been operated 'on an in-flight basis' from Curaçao. What the new organization will look like is not yet known. EY is based in Zeelandia Office Park, KPMG is based at the Schouwburgweg in Willemstad. Of the big four, only EY and Deloitte are present on the islands. The latter would like to integrate the Antillean business unit into the Dutch organization early next year. 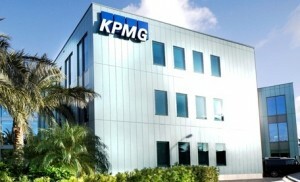 The Curaçao branch of KPMG came into disrepute last spring when the head office was searched by the Public Prosecution Service. This invasion would be related to a criminal investigation into a former customer who facilitated money laundering with lingerie shops.